As part of their family’s Christmas traditions, Andrew and Stacia Jacob give their two daughters $20 each and ask them to select items from the Samaritan’s Purse gift catalog. In 2009, they assumed their 5-year-old daughter, Emma, would choose a small gift such as a soccer ball or a brood of chicks. Instead, her thoughts remained fixed on the story of children who got sick from drinking water out of a polluted river. Stacia remembers the moment well. 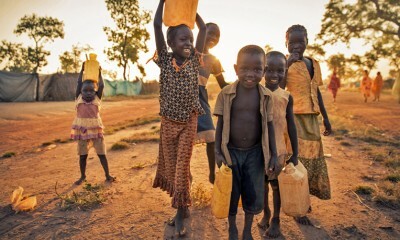 Wells drilled by Samaritan’s Purse provide safe, clean water for children around the world. Emma asked her parents if she could buy a well from the catalog. For a 5-year-old, the $10,000 price tag was no big deal. Emma’s parents said God must have stepped in with just the right words because even they were surprised by their response. Still, no one made a significant contribution. The $10,000 goal seemed unattainable. 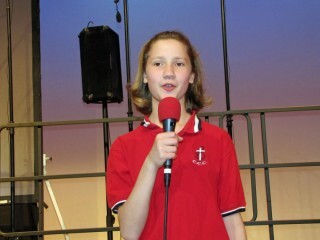 Emma spoke at area churches to raise awareness and funds for her project. Encouragement came about a year later, when Emma delivered a persuasive speech that produced the first sizeable donations. In addition to her home-schooling, she had been learning the art of public speaking through a program offered in their community in Jackson, New Jersey. Her hard work was starting to pay off. The following summer, their pastor’s wife delivered some good news. During Vacation Bible School, their church adopts a missions project for the students to support. The church had designated Emma’s Hope as their project. Emma spoke to the children and their parents, making her plea for a freshwater well that would save lives and create opportunities for the beneficiaries to learn about the Living Water, Jesus Christ. By the end of the week, they had surpassed the $500 goal. Emma’s donation will help drill a well in South Sudan. Building on that momentum, Emma spoke at additional churches. Her largest audience was a group of more than 400 people. 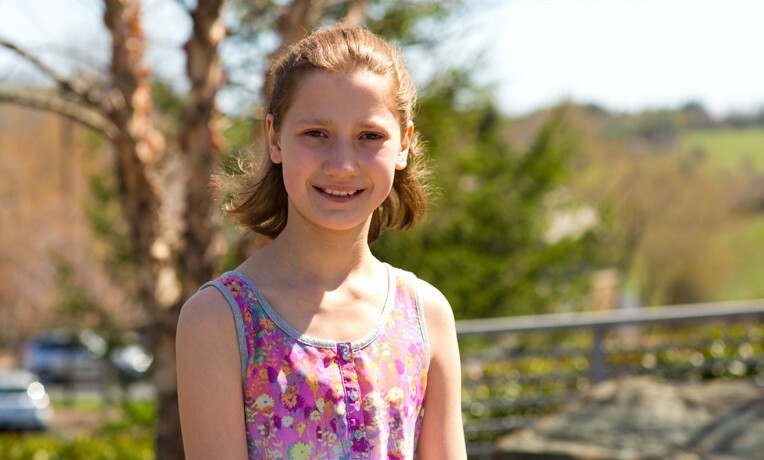 The offering that night—earmarked for Emma’s Hope—took in $2,000. Instead of setting aside the funds for one large donation, she decided to send the contributions to Samaritan’s Purse as she received them. All the while she kept a running tally, making gradual progress toward the goal. By December 2014, she was within $750 of reaching the $10,000 mark. A couple in Emma’s church donated the husband’s Christmas bonus to supply the remainder of the funds she needed—down to the penny. Finally, almost five years to the day and after receiving hundreds of contributions, she had reached her goal. The funds raised by Emma’s Hope will be used to construct a deep well, encased in concrete, that can supply potable water for hundreds of thirsty families. The well will be installed in South Sudan, where droughts have left many rural communities with sparse water supplies and no choice but to drink from contaminated sources. 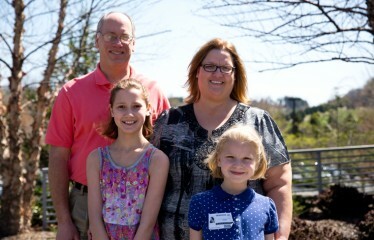 Emma’s family visited Samaritan’s Purse after reaching her goal. That’s what kept her motivated and focused for the past five years. While most youngsters may have become easily distracted or discouraged, Emma pressed on. In so doing, she has inspired others in her church, community, and within her own family to use their God-given talents—no matter their age—to help change the world around them. Her motto is 1 Timothy 4:12: “Don’t let anyone look down on you because you are young, but set an example for the believers in speech, in conduct, in love, in faith, and in purity” (NIV). Emma’s mother was right. A lot of hard work and prayer can lead to great accomplishments. Freshwater Wells Wherever Samaritan’s Purse drills a well, we pray that God will use it to not only supply a dependable source of cool, clean water, but also to make it a place where people can share the Gospel and come to know Jesus as their Lord and Savior. 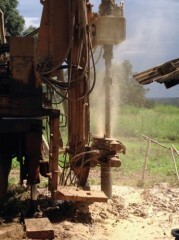 Using a hand-cranked drill or a truck-mounted rig, we can drill a well to serve 500 villagers for about $25 per person.